The Gentle Giants project will include the production of a film in our ‘Sustainable Futures’ short documentary series and take place in a proposed location in Africa. We will focus on the African Elephant, a species that is in drastic decline and facing extinction from its natural habitat. In the short film we will cover the issues threatening the survival of the species, including environmental impacts, over hunting, government regulations, permit poaching, and development that disrupts the elephants’ migration paths. We will also undertake a renewable energy installation as we are aware that individuals working on conservation efforts are often subject to long hours at night patrolling wildlife parks and reserves to protect and monitor the elephants. Often they are based in off-grid camps or in regions that suffer regular power outages. Our goal is to assist in their efforts; through both the media attention generated from the documentary film’s worldwide screenings and the support, stability, and cost savings that will be provided by the donated solar and water filtration equipment that will be installed over the course of our initiative. 1. The lifespan of an African elephant out in the wild is about 60 years. 2. At 11 pounds, the elephant has a brain that is larger than any other land animal in the world. 3. An estimated 100 African elephants are killed each day by poachers seeking ivory, meat and body parts, leaving only 400,000 remaining. 4. Elephants are a keystone species. It means that they create and maintain the ecosystem in which they live and make it possible for a myriad of plant and animal species to live in those environment as well. To lose the elephant is to lose an environmental caretaker and an animal from which we have much to learn. 5. There are two species of elephants, African and Asian, and while they are similar in physiology, they are too biologically different to interbreed. 6. The Asian elephant is endangered with less than 40,000 remaining worldwide. 7. Recent research suggests that captive elephants suffer long-tern depression over the trauma of their capture and captivity, as well as drastically shortened life spans. 8. The African elephant weights 20,000 pounds and its the planets largest land animal. The Asian elephant is the second largest, weighing around 10,000 pounds. 9. Elephants have the longest gestation period of an animal at almost 22 months. A new born elephant can weigh up to 260 pounds. 1. Do not buy products that have been made from ivonry or elephant bones and parts. 2. Inform other people about what is happening to elephants and share your love and concern for elephants. 3. Visit, sponsor and donate to elephant rescue and rehabilitation centers. There are many centers that need our love and support. This is a great way to educate children on these majestic mammals. These centers provide information about the elephants’ natural behavior and habitats and are an inspiring source of information for children and adults alike. 4. Do not support elephant circus performances. This is a form of animal abuse and it is best to support elephant rehabilitation efforts, sanctuaries, and other work that assists the animals in existing and returning to their natural habitat. 5. 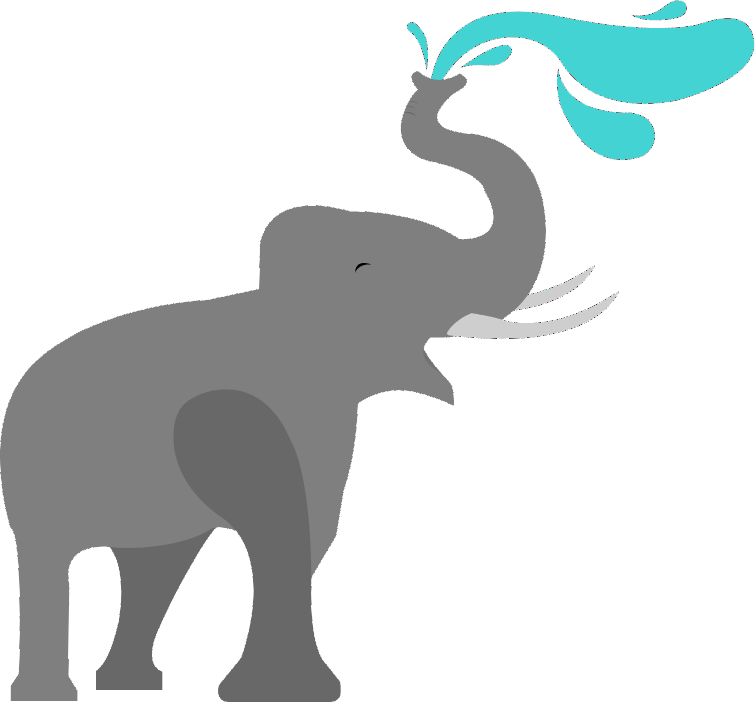 Share information, photos, and facts about the conservation efforts going on to help the elephant.